Gracie and Orville came to Ft. Pierce, Florida in 1952 to escape the cold long winters of Ottumwa, Iowa. 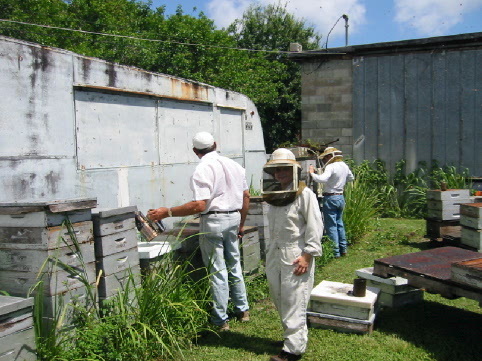 They became interested in beekeeping during their winter residence and continued to support the building of the business for many years. We are full time beekeepers. Our family is dedicated to producing Pure Raw Honey.